Recently renovated bright 3 Bedroom/3 Bath (1 full and two half baths) home in the heart of Dennis Village. Relax in the comfy living room to plan your week and catch up with each other or watch the Red Sox. Start your morning with coffee in the eat in kitchen that offers everything the chef in the family will need for the week! New hardwood floors throughout. Fabulous deck for sunbathing, reading, grilling or cocktails. Big yard with plenty of room for a quick game of touch football, bocce, horseshoes etc. 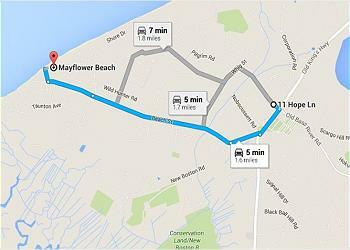 Short drive to Corporation, Mayflower and other bay beaches. 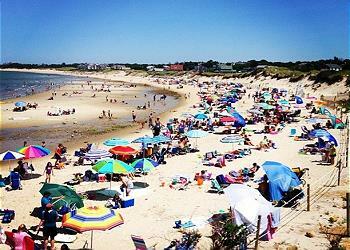 Owner leaves 6 (plus) beach chairs, umbrellas, sand toys and a beach cart and wagon. Walk to town for shopping, strolling and dining. Monday evenings grab a seat on the Village Green for a concert. Make sure to catch a show at the Cape Theater, it's right at the end of your street! $125 Administrative fee plus applicable state and local taxes. Owner will provide blankets pillows. Guest must bring linens and towels. Linen package available to rent upon request for $293.00. *Small dogs allowed with owner approval and a $100.00 pet deposit. Our stay at 81 Hope Lane was awesome - the back yard was HUGE and private, with a beautiful big deck! The house itself was great too, although advertised as having 3 bathrooms, it really has 1 bathroom and 2 half bathrooms. So only one indoor shower. But that worked out okay as some of us used the outdoor shower. Just might want to edit that on the description page. The house was really well equipped with everything we could need, the only thing that I would STRONGLY suggest is to replace the full sized bed in the "master bedroom" with a larger, queen size bed. The room is big enough to accommodate it. My husband and I were literally squeezed in as we are used to our king size at home.... Other than that, a perfect house!! !